These are some of the regulations that all anglers should be familiar with. For a complete listing refer to the Division’s website or request a copy from the Director’s Office. See Fishing License Information for license requirements. The spawning season for striped bass in Delaware is considered to begin at 12:01 a.m. on April 1 and continue through midnight on May 31 of each calendar year. It is unlawful for any person to take and retain any striped bass during the spawning season from the Nanticoke River or its tributaries, the Delaware River and its tributaries to the north of a line extending due east beginning at and including the south jetty at the mouth of the C & D Canal, or the C & D Canal or its tributaries. Catch and release only during this season; no harvest is allowed. 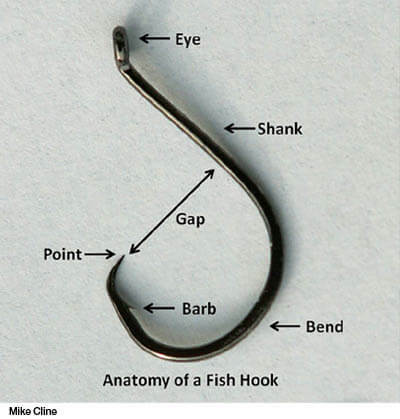 Anglers fishing with natural bait on the striped bass spawning grounds from April 1 through May 31 must use a non-offset circle hook where the gap of the hook is greater than 3/8 inches. It shall be unlawful for any person to have in possession more than an aggregate of ten (10) American shad and hickory shad. Additionally, it shall be unlawful for any person to take and reduce to possession any American shad or hickory shad from the Nanticoke River or its tributaries. Both commercial and recreational river herring (blueback herring and alewife) fisheries are closed to harvest. No person shall fish with any type of net, within 300 feet of any constructed dam or spillway on a tidal water river, stream, canal, ditch, or tributary located in this state. It is unlawful for any person to have in possession any part of a summer flounder that measures less than the current minimum size limit between said part’s two most distant points unless said person also has in possession the head, backbone, and tail intact from which said part was removed. Electric lights may now be used in tidal waters for recreational fishing. Electric lights are often used in bowfishing, which is an effective method for taking invasive fish such as the northern snakehead. Crabbing, fishing or swimming from floating courtesy docks at any Delaware Division of Fish and Wildlife boat ramp is prohibited, unless otherwise posted.